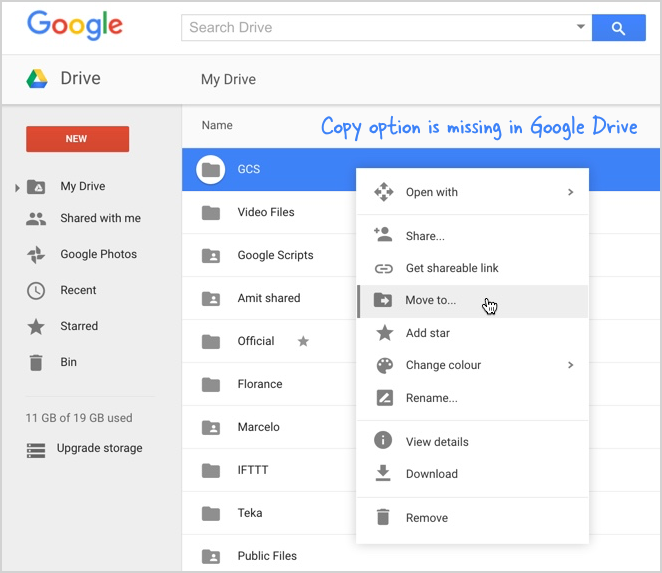 Now you might expect to be able to copy folders between folders in Google Drive, but you can’t, you can only copy files. BUT there is a free web app that does exactly what you are looking for. Labnol is a great site for expert Google Apps tips and scripts. Go to labnol.org/xcopy and click the Authorize button. Allow the app to access your Google Drive files. The app would perform the copy operation directly inside your Google account without involving a third-party server. Once authorized, select the source folder using the Google File picker and specify the destination folder name. Click the Copy Folder button to begin the cloning process.